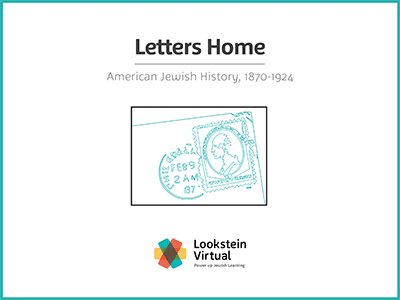 Between 1870 and 1924, over two million Jews left Eastern Europe and elsewhere to begin new lives in the United States. In this semester-long course, students travel alongside immigrants as they journey to their unknown home and encounter the challenges presented by American work patterns, religious frameworks, and mass culture. 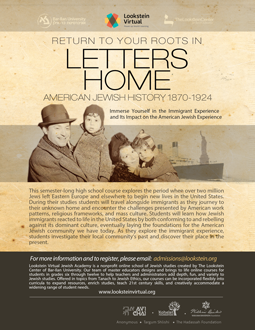 Students will learn how Jewish immigrants reacted to life in the United States by both conforming to and rebelling against its dominant culture, eventually laying the foundations for the American Jewish community we have today. As they explore the immigrant experience, students investigate their local community’s past and discover their place in the present. Note: Grades listed are guidelines only. Please contact us for more information about your specific course interests.